IBackup provides you the best VMware backup solution – with full and incremental backups. It supports VMware vCenter, and ensures a complete data protection for virtualized environment. Backup your VMware environment with features like incremental backups and scheduled backups. View the steps to backup VMware. 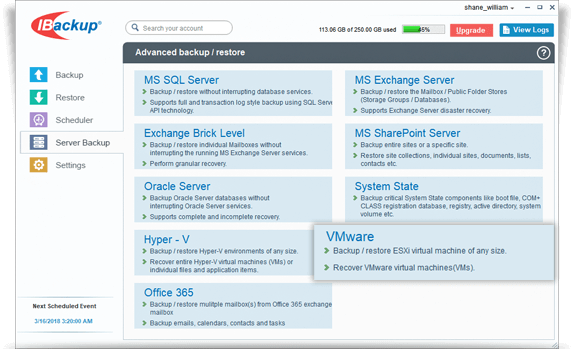 Easily restore your VMware virtual machines from your IBackup account. View the steps to restore VMware.